Fermented chocolate drinks date back to 1900 BCE and the Aztecs believed cacao seeds were a gift from Quetzalcoatl, their god of wisdom. Who can argue that chocolate is a pretty smart thing? Almost anything is better covered in chocolate, and today’s holiday proves it! Whether you like your chocolate straight up or on the…potato chips, enjoy the day with a little indulgence! Image copyright Stéphane Jorisch, 2016, text copyright, 2016. Michael B. Kaplan. Courtesy of Penguin Books. The next morning Betty Bunny couldn’t leave the house without first checking on her piece of cake. It looked so alone sitting on the plate all by itself, so Betty Bunny decided to put it in her pocket and take it to school with her. All day the secret knowledge of what was in her pocket made Betty Bunny happy. At dinner, after she had cleaned her plate, she reached into her pocket for her chocolate cake, but all she found was “a brown, goopy mess” that made her cry. After her mom explained to her that putting the cake in her pocket was not the same as being patient, she prepared another piece for the next day. In the morning, Betty Bunny remembered her lesson in patience—and that’s why she put the cake…in her sock. Image copyright Stéphane Jorisch, 2016, text copyright Michael B. Kaplan, 2016. Courtesy of Penguin Books. Michael B. Kaplan’s adorable Betty Bunny Loves Chocolate Cake is a delight from its beginning to its smashing ending. He hits all the right notes in this humorous family drama, from the “helpful” siblings to the hair-trigger tantrums to the Ramona Quimby-esque misunderstanding of phrase. Along with the giggle-inducing fun kids learn a bit about patience, and adults discover insight into what goes on in their little bunny’s mind when obsession meets disappointment. Stéphane Jorisch’s Bunny family is as cute as…well…a bunny. His watercolor, pen and ink, and gouche paintings employ brilliant color and crisp lines to depict the loving relationship among the siblings and parents as well as the realistic home and school environments. The perfectly drawn body language—including folded arms, sly looks, emotional meltdowns, and understanding smiles—will resonate with kids and adults alike. And once the piece of chocolate cake appears, it’s easy to see how little Betty Bunny could become such a fan. Everything is better with chocolate—even this printable Delicious Dot-to-Dot! Get your pencils, follow the dots, and then color this delectable page! Sometimes when you bake something, it looks a little…well…naked. A plain cake? A monochrome cookie? They just cry out for some color—and maybe a rose or two, or a superhero, or some words, or candies, or…you get the picture. Today’s holiday understands! So, get out your baking utensils, gather some ingredients, and design a beautiful or funny decoration! Straw hats are found in nearly every culture in the world and have been used since ancient times. Made from local materials, some are unique to and even iconic of the country in which they’re made. Woven loosely, straw hats can protect a person from the hot sun while also keeping their head cool. In rainy climates, tightly woven hats are good for staying dry. Of course, straw hats are a staple of women’s fashion and can be found in nearly every color and decorated with ribbon, flowers, feathers, beads, and more. “Miss Fannie has lots of hats. And each one is her favorite.” Miss Fannie is ninety-nine years old and has a closet full of hats that she has worn on special occasions throughout her life. When she tries on her “red felt with the big feather, she looks in the mirror and says ‘I just love this hat!’” It’s the same with her green velour hat that’s decorated with a fancy pin. She’s not the only one who loves her hats. When she wears them to church, people always tell her, “‘Miss Fannie, I sure do love that hat!’” But Miss Fannie has a favorite among her many hats: the pink straw with silk roses. Everyone else loves this hat too. Image copyright Toni Goffe, text copyright Jan Karon. Courtesy of Puffin Books. She puts the pink straw hat on, looks in the mirror, and sighs. “In her heart she did not want to giver her hat away. Not at all.” But as she places it back in its box and ties the ribbon, she discovers “she was very, very excited” about all the things it might be able to do. The old pipe organ needed fixing, there was a crack in the church bell, and the roof really needed to be replaced. Jan Karon’s story of selfless love was a favorite in our house when my daughter was young. Not only is the well-paced narrative full of evocative sensory details, bits of history, and realistic dialogue, it centers around a unique plot involving the types of soul-searching decisions that are hard to make. No matter how many times we read the book, Miss Fannie’s choice to auction her favorite hat to benefit her church seemed to come as a surprise that both inspired and heartened. While the tale is primarily Miss Fannie’s, it is Wanda’s story of benevolence too as Karon affectionately describes the ways in which Wanda lovingly attends to her mother’s physical and emotional needs. Throughout Miss Fannie’s Hat, Karon demonstrates that a life well-lived is one abounding in joyous giving. Toni Goffe takes readers into Miss Wanda’s home—and Miss Fannie’s memory—with his bright, delicate illustrations that fully satisfy little one’s love of realistic detail. My daughter enjoyed the textured feel to the images, where steam rises from a cup of tea and from the bathroom sink, Miss Wanda brushes out her mother’s soft hair, and the hats—made of velvet, velour, and straw and sporting feathers, flowers, nets, and ribbon—beg to be touched. In fact, with the first page and its tantalizing peek into Miss Fannie’s closet, readers will find themselves riveted to her hats and life story. Vignettes from Miss Fannie’s younger years as well as scenes of her now demonstrate her enduring courage and strength of character. For kids who like to count, sort, and compare, a one-page illustration and a glorious two-page spread allow them to match the list of hats in the text with the contents of Miss Fannie’s closet. They are also invited to choose their favorite from among Miss Fannie’s hats. Miss Fannie’s Hats is a wonderful story to share with young readers for its ideas of giving, multigenerational relationships, and friendship. Discover more about Jan Karon and her books for children and adults on her website! View a gallery of artwork by Toni Goffe on his website! These hats come in pairs—or maybe even triplets—but somehow they’ve been mixed up! Can you find all the matching sets? 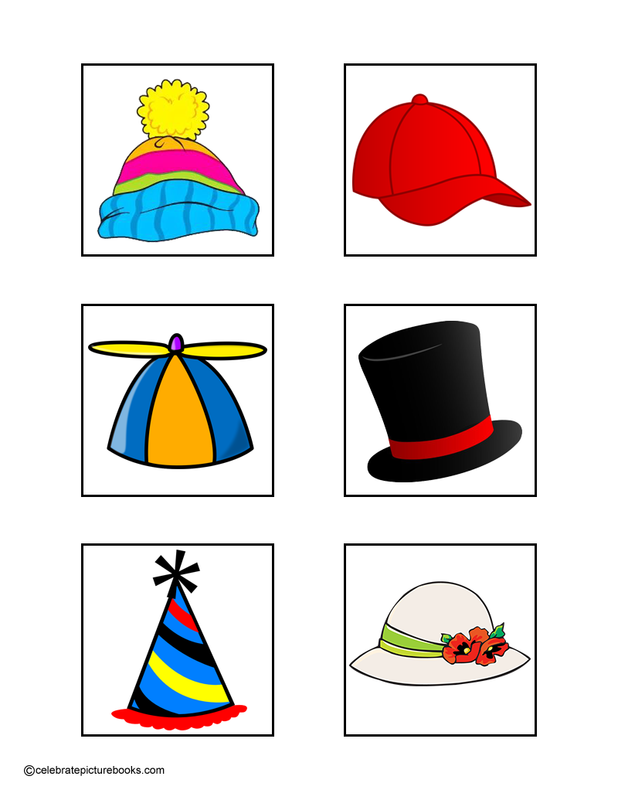 Just put on your thinking caps and play this printable game! When you pack your own lunch, you can’t wait for the clock to strike lunchtime! Today is a day to celebrate the joy of a midday meal featuring your favorite foods and snacks. So if you usually just eat what the cafeteria offers, think outside the tray and create a lunch that’s delicious, nutritious, and even fun! Ask a kid what their favorite part of school is and they’re likely to say, “Lunch!” So it’s appropriate that this poetry collection about the fun and foibles of school contains several poems scrutinizing that special half hour out of the classroom. In “Decisions” a boy contemplates the school menu stuck to the refrigerator. Tacos, pizza, burger, nachos? Buy it! Beef stew, baked beans, tuna-cabbage crunch, mushroom-chicken bake? Bag it! “Lunch Money” finds a boy asking first Dad, then Grandma, and finally Mom for cash. But who can he rely on? Only his own piggy bank. “Swap” is a rollicking round robin rhyme of traded sandwiches, swapped fruit, bought and sold drinks, bartered cookies, exchanged bagels, and great deals made. But does the result on the plate look oddly familiar? “Code” is medical code for “cold” in a short poem about the linguistic acrobatics of a stuffy nose. “And the Answer Is…?” offers an impassioned debate between one student who likes to answer the teacher’s questions and another who just wants to hide under the table. And “Whew!” is a delight in which a student who isn’t prepared for the day finds a substitute standing at the front of the class. Other topics that make an appearance are the school mischief maker, the class pet, recess rules, homework, recess, and the inevitable school nightmare that follows you into adulthood. Carol Diggory Shields understands school—the moments of camaraderie, embarrassment, mayhem, wishful thinking, and more—that make up each day. Her flowing, easy-to-read rhythms and humorous twists makes this poetry collection enchanting and an excellent addition to any home library. Paul Meisel’s illustrations are populated with all kinds of kids you’d want to meet. 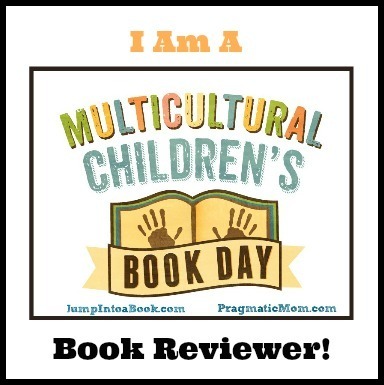 With curly hair or straight, pony tails or bows, wearing stripes or polka dots, shorts or pants, each child is given his or her own personality as they romp through the scenario of their accompanying poem. Whether the kids are in a classroom or at home or on the playground, the details of their environment are richly drawn. The counters are lined with science projects, the clock moves so slowly a spider has spun a web on its hands, and the kindergarten play as well as the lunch room are humorously chaotic. There is so much to see on each page that kids will recognize, but experience anew. Who says your snack or sandwich container has to be boring? Take your lunch to school in a container you decorate yourself! It’s easy with a few colored markers and your imagination! On this day we honor the sled dogs who have bravely risked their lives to help human beings survive and flourish in some of the harshest landscapes from our earliest history. One of these memorable times occurred in 1925 when a diphtheria epidemic swept through Nome, Alaska. The only anti-toxin that could help was in Anchorage—more than 900 miles away! The weather was horrific and the only way for the serum to reach the ailing population in time was by dog sled. Through incredible bravery, strength, and perseverance, a relay of dog-sled teams completed the run and delivered the serum. Today’s Iditarod honors this heroic effort. While this picture book review revolves around the Iditarod, if you would like to read about the serum run and a brave sled dog that made the success of the project possible, I highly recommend another picture book by Robert Blake: Togo. The annual Iditarod is the setting for this dramatic outdoor adventure that pits mushers and their sled dogs against the harshest climate and each other. Akiak is a veteran of this grueling race from Anchorage to Nome, Alaska. She has led a team of dogs to a fifth, third, and second place, but that winning spot has been so elusive. This year Akiak is 10 years old and it will be her last chance to bring home a first-place finish for the 16-dog team and Mick, her musher. Akiak possesses the drive and heart to lead the sled up and over dangerously steep hills, through icy water and deep snow, and through howling storms. On Day 3 Akiak, Mick, and the other dogs pass Willy Ketcham, their main rival, and the race is looking good. But on the fourth day of the race, ice jams Akiak’s paw and she can’t continue. Mick leaves her at a checkpoint to be flown home while another of the dog team takes her place. But Akiak won’t give up easily. Taking advantage of difficult weather, she is able to escape from the handlers putting her on the plane and speeds away, following her knowledge of the trail and the scent of the team to find Mick. Akiak waits out a blizzard, outsmarts trail volunteers who try to catch her, and endures hunger and thirst to narrow the distance between her and Mick. With the help along the trail, Akiak comes closer to her old team. Finally on day 10, just when the team and Mick need her most, Akiak catches up with them! The Iditarod rules say Akiak can’t be put back on the team, but that doesn’t mean she still can’t help. Akiak knows something Mick doesn’t. While the team is floundering among crisscrossing trail marks, Akiak nudges them onto the right track. Akiak jumps in the sled with Mick, and they glide into Nome ahead of Ketcham – triumphant! Author-illustrator Robert Blake has created a fast-paced adventure full of as many twists and turns as the Iditarod trail itself. Children of all ages will cheer Akiak along on his journey. Blake’s oil painting illustrations bring to life the whipping snow, howling winds, and deep drifts of this forbidding landscape. The movement and determination of Akiak and the other sled dogs are rendered beautifully as they strive to win. Alaska’s vast beauty becomes a character itself in the icy blue and white tones of Blake’s work. Discover more about Robert Blake and his many books, plus sketchbooks and a video on his website!